In the U.S., approximately185,000 amputations are performed each year and more than two million Americans are currently missing limbs. Amputees currently have two options: prosthetics, which despite technology still have mobility issues, or a transplant and a potential lifetime of immunosuppressive drugs. Researchers at the Massachusetts General Hospital organ repair and regeneration lab have made progress in developing a third option: growing your own limb. 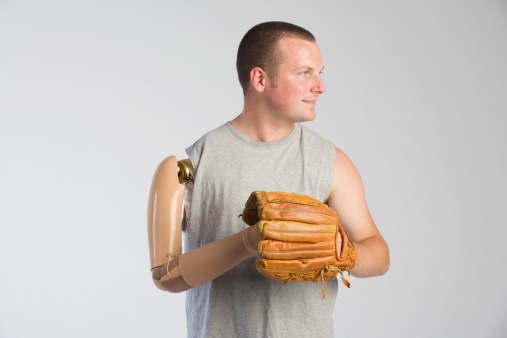 The idea behind bio-limbs is that they are grown from the same cells as the person they are transplanted to. Since they share the same genetic makeup, there is no risk of rejection so immunosuppressant medicines aren’t needed. The process behind creating a bio-limb is complicated but can be boiled down to a few distinct stages. All stages take place inside a heavily controlled “bio-reactor,” which is basically a box with intense oxygen, pH, temperature, and air pressure controls. First, the amputated limb undergoes a process called decellularization where the cells inside are flushed out. What is left behind is a scaffold made of the substances that provide the cells with structural support. Among other things, these substances are the reason that limbs and organs have their particular shapes. The next step relies on progenitor cells. These are similar to stem cells, in that they can grow into different forms of tissue, but are less flexible. The human body naturally loses cells through age or injury, and progenitor cells are what get activated to replace them. Progenitor cells are seeded throughout the scaffold and used to re-grow blood cells and vessels, then muscle, connective tissue, bone, cartilage, fat, and the remaining structure. Growing nerve cells to connect the bio-limb to the host is the last step. Harold Ott, director of the lab, has used the technique in the past to grow hearts and lungs, but the additional elements of limbs mean the method needs some adjustment. In June 2015, a rat arm was successfully regenerated. Currently, Ott’s team is growing a monkey arm, but doing so with human progenitor cells. The research still has a long way to go before being usable in humans. The current challenge to overcome is developing nerve cells capable of integrating with a host. Future obstacles will be in scaling up the procedure to humans, which the monkey trial is hoping to help with. Despite the long road ahead, Ott remains confident that the goal will be reached: “I will live to see the clinical application of this,” he states. “Limb Loss Statistics,” Amputee Coalition web site; http://www.amputee-coalition.org/limb-loss-resource-center/resources-by-topic/limb-loss-statistics/limb-loss-statistics/, last accessed August 11, 2015. “Out on a limb: Pioneering scientists grow monkey arms in the lab,” CNN web site; http://www.cnn.com/2015/08/11/health/growing-limbs-in-the-lab/index.html, last accessed August 11, 2015.